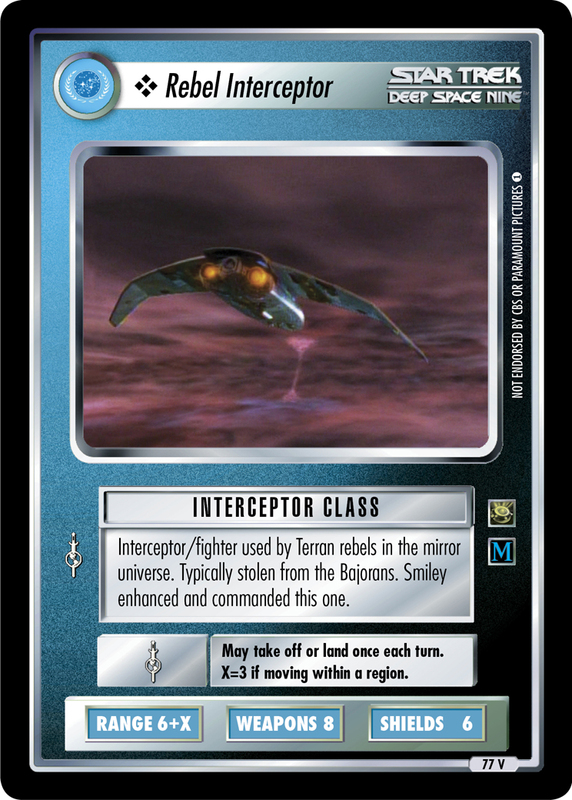 Interceptor/fighter used by Terran rebels in the mirror universe. 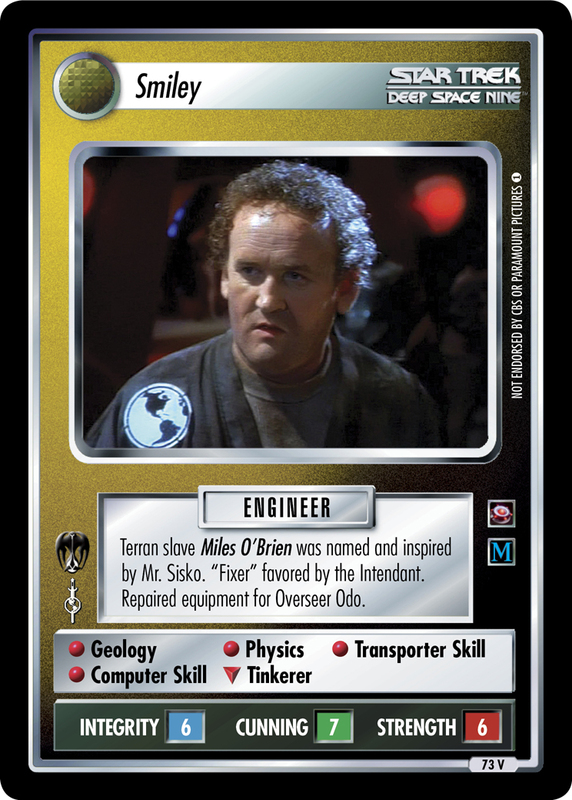 Typically stolen from the Bajorans. Smiley enhanced and commanded this one. May take off or land once each turn. X=3 if moving within a region.